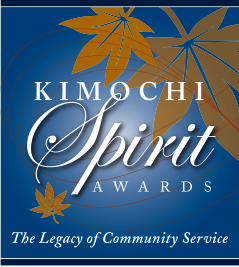 SAN FRANCISCO — Kimochi Inc., the San Francisco-based senior service agency, will present the Kimochi Spirit Awards on Saturday, May 17, from 12 to 3:30 p.m. at the Sundance Kabuki Cinemas, 1881 Post St. at Fillmore Street in Japantown. The emcee will be Robert Handa of KTVU/Fox 2. Entertainment will be provided by the J-town Jazz Ensemble, the Ayako Hosokawa Quartet, Colette Ikemi with Mark Zanini, and the Kimochi Singers. Masanori Murakami, who became the first Japanese-born Major League Baseball player when he pitched for the San Francisco Giants in the 1960s, will make a special guest appearance. A pre-reception meet and greet will take place at 11 a.m.
Raffle drawing includes two round-trip tickets to Japan, courtesy of Japan Airlines, as grand prize. Sponsors: PG&E, California Pacific Medical Center, AT&T, AARP, Asian Week Foundation, Flanagan Family Foundation, Mary Ishisaki, Japan Airlines, St. Mary’s Medical Center, Union Bank, United Airlines. Admission is free. To RSVP, call (415) 931-2294. For more information on Kimochi, visit www.kimochi-inc.org.